Histopathology refers to the medical specialty dedicated to the study of biological tissues to establish a diagnosis. 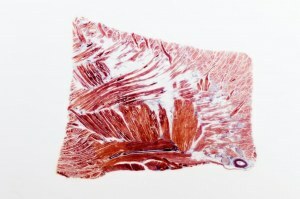 It is based on tissue samples, tissue biopsies or smears depending on the technique used to collect the sample. Histochemistry, which combines various techniques using chemical reactions between chemicals and biological components of tissues. For example, a common histochemical technique is the use of Prussian blue (Perl staining) which, for example, highlights deposits in diseases such as hemochromatosis. Immunohistochemistry (IHC) which involves specific antibodies of a given target (proteins, lipids or carbohydrates). This target is usually a known marker for a given pathology.